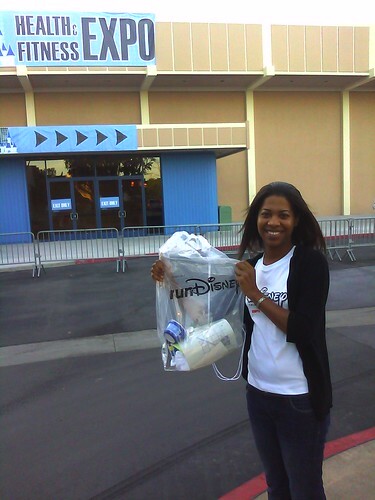 Tinker Bell Half Marathon weekend! I’m heading to the expo @ the Disneyland Hotel to pick up my reg pack in a bit. I have been doing training runs with a group for the last few months and in the last month or so I’ve noticed an acute pain in my leg on runs longer than 5K. I can feel my IT Band ache on the outside of my left knee while walking around today so I know I will have to run/walk the 13.1 mile race instead of running the whole time like I’d wanted. It’s kind of a disappointment that I know I won’t beat my time from the Disneyland Half back in September, but I do get to greet the sunrise as I run through both Disneyland and Disney California Adventure. It’s all good. If you want to track my race progress sign up here to get updates. If you missed the boat on this half marathon there is still time to sign up for the Disneyland Half Marathon in September. Hurry though. Even as it’s 6 months away the registration is already over halfway filled!